Overview : Designed for use in urban and crowded environments, this slim, lightweight backpack is sized as an international travel carry-on. It will hold most 400 f2.8 lenses with a pro size DSLR camera body attached. Exterior - All fabric exterior treated with DWR while fabric underside is coated with PU for superior water resistance, YKK® RC Fuse (abrasion resistant) zippers, 1680D ballistic nylon bottom panel, 420D velocity nylon, 550D polyester, 3D air mesh, ultra stretch pockets, Y-buckles, antique nickel plated metal hardware, nylon webbing, 3-ply bonded nylon thread. Interior - Removable closed cell foam dividers, 210D silver-toned nylon, PU backed velex liner, 2x PU coated nylon 210T seam-sealed taffeta rain cover, clear PU mesh pockets (non-PVC), 3-ply bonded nylon thread. 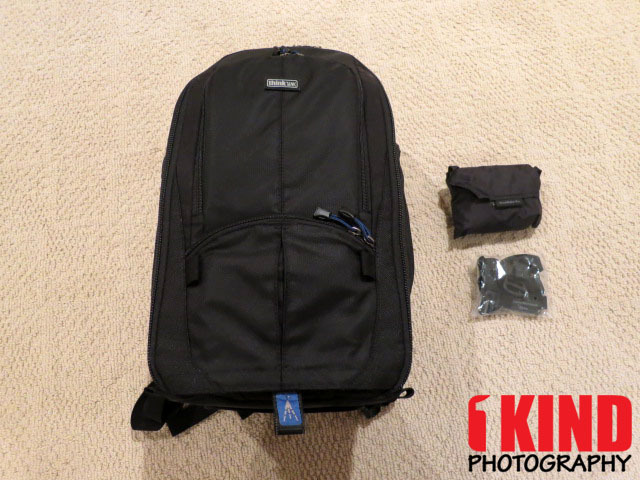 Quality/Usability : I've been in search of a backpack that can carry my gear but be as comfortable as possible as well. No one likes to be uncomfortable while their hiking, walking or traveling to their next destination. 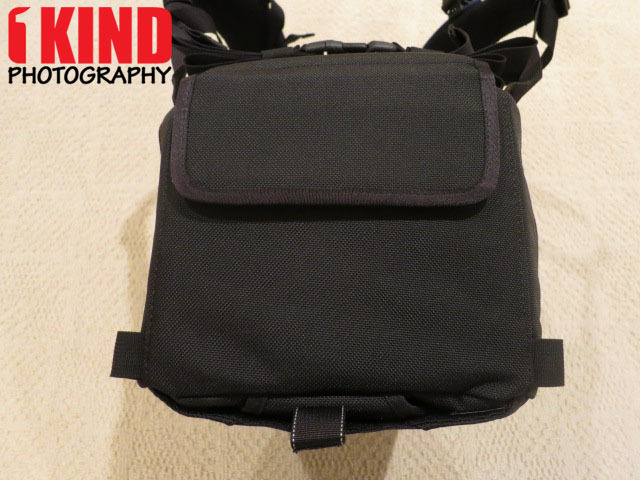 I also own the ThinkTank Retrospective 10 Shoulder Bag and it's a great bag but I'm starting to outgrow it when I need to carry more gear. Included with the ThinkTank StreetWalker Pro is a tripod/monopod strap that helps secure it to the backpack and the usual raincoat cover. 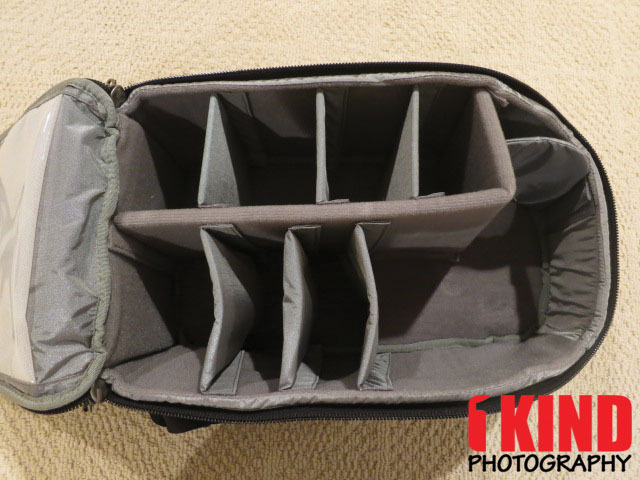 The front of the StreetWalker Pro has one big main compartment (described and pictured further down) and smaller lower compartment. Underneath the lower smaller compartment is a pull-tab. 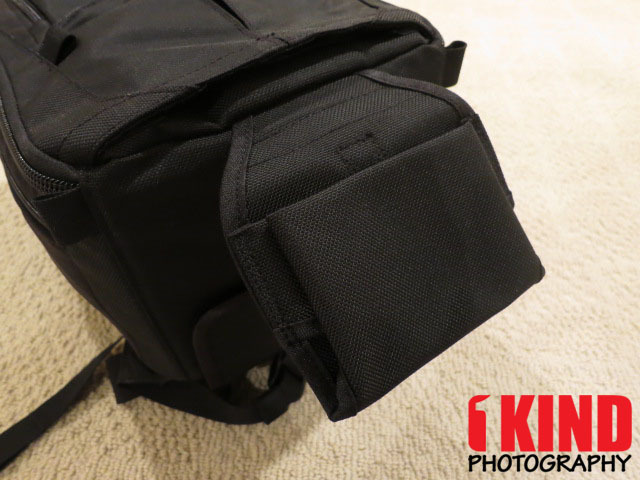 This pull-tab lets you pull out the tripod/monopod foot pouch. This is where the foot of your tripod/monopod will go into when you're hiking or walking. The tripod/monopod straps that is included latches onto the tabs on the front of the backpack next to the lower compartment. 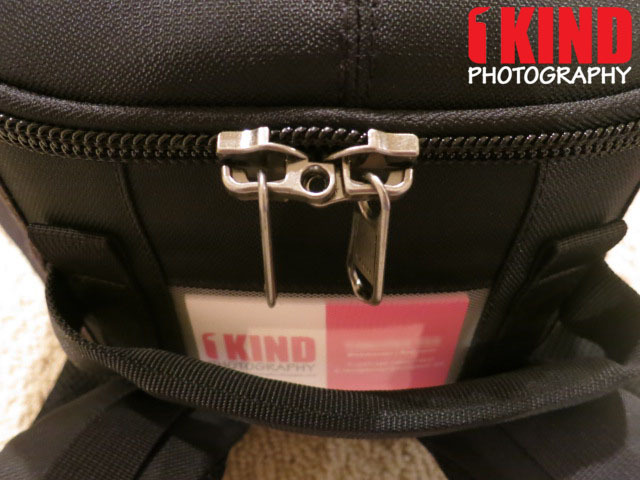 There are also two tabs on top of the bag that the strap latch on to. The zipper is YKK so you know it will be sturdy. 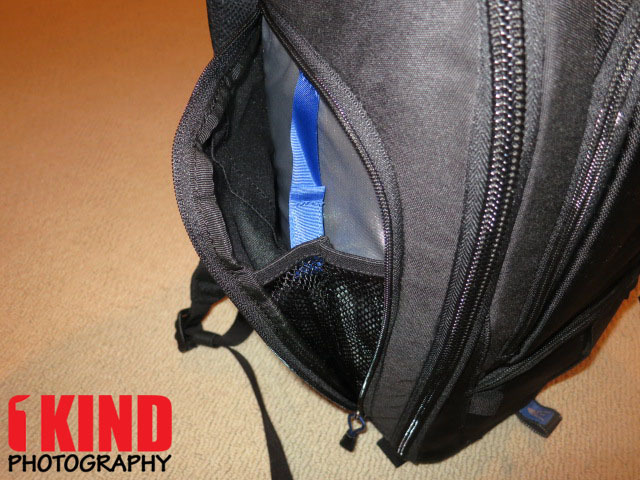 There are also holes in the zipper that allows you to use a lock to prevent someone from opening your backpack and stealing your gear. Also on the top of the bag is a small window for you to store your travel tag. You can also place business cards but I have about 5 cards and it's a bit tough to get out. On the bottom is a flap that is held closed with velcro. Lift this flap and you can take out the waist strap (as shown below). 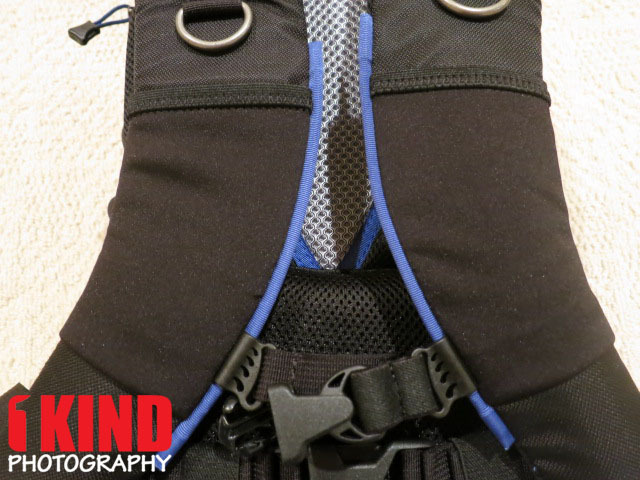 As mentioned above, there is a waist strap that can be hidden behind the padded lower back. The middle of the backpack is a nice padded breathable mesh. The straps are also well padded and even feature two stretchable nylon for you to hold your I.D. or phone. On the strap, there are also D-rings for you to latch things on to as well as a chest buckle. On each side of the StreetWalker Pro are stretchable nylon pockets as well as a zipped compartment. The nylon pockets is capable of holding a bottled drink or umbrella. When you open the zippered compartment, you can store batteries, memory cards, a small notepad and keys. 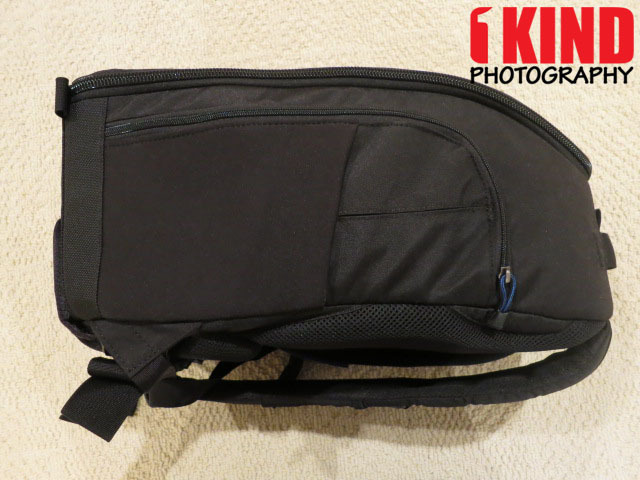 There is also a strap with velcro for you to attach your keys, memory card case or anything with a loop. 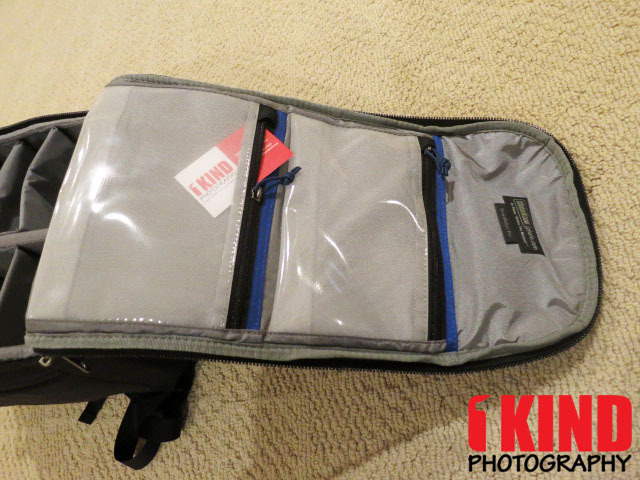 As we mentioned at the beginning of the review, there is a big main zippered compartment on the front of the StreetWalker Pro. In this compartment, you can store all your nick-nacks, pens, I.D., money, passport and other items. There's also another zippered compartment inside the compartment. On the other side of the flap cover are two transparent zippered pockets. You can also store money, passport and other documents or items. 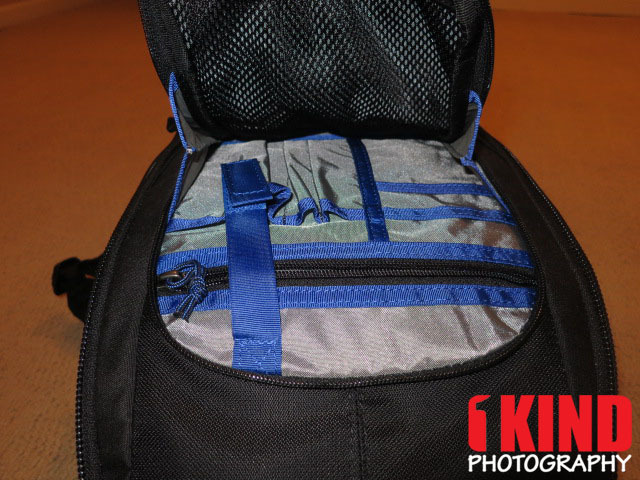 There are about 9 compartments inside the StreetWalker Pro. You can customize it however you want by removing the padded velro dividers and reinserting to where ever you want. I didn't do much configuration as what was shipped worked out fine for me. 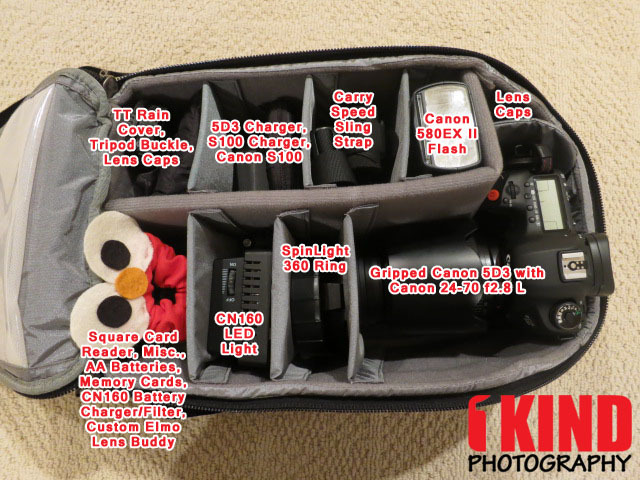 The StreetWalker Pro has no problem holding a pro-sized DSLR or DSLR camera with a grip. I also have a Custom SLR M-Plate Pro mounted onto the BG-E11 grip as well as a Herringbone Heritage Leather Hand Strap and the camera still fit perfectly. 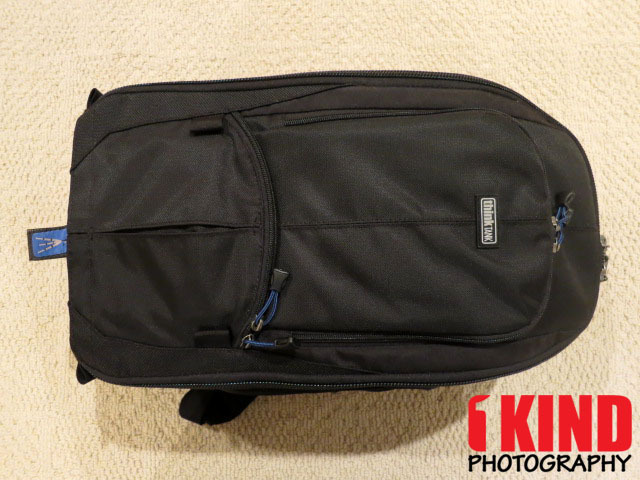 Conclusion : Overall, the ThinkTank StreetWalker Pro Backpack Bag is a very comfortable backpack. Great for those active photographers who like to walk a lot, hike or travel. The backpack is able to hold all my gear and more. 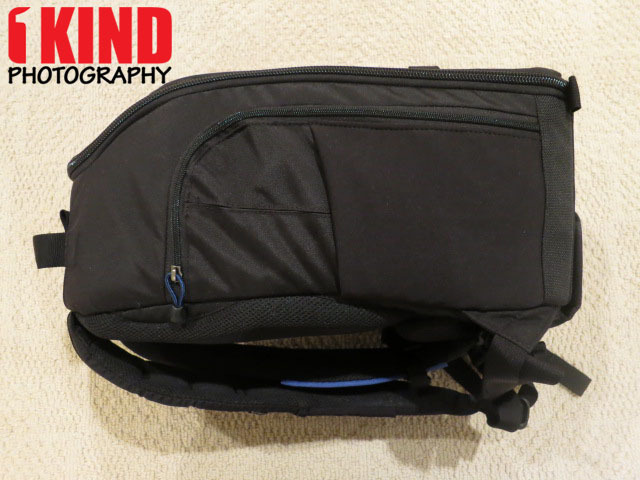 As mentioned at the beginning of the review, I still own and use the ThinkTank Retrospective 10 Shoulder Bag when I need to go light with less gear. The ThinkTank StreetWalker series comes in three different sizes. The StreetWalker is the smallest of the bunch. The StreetWalker HardDrive is the biggest in the series and can also carry a 15" laptop. 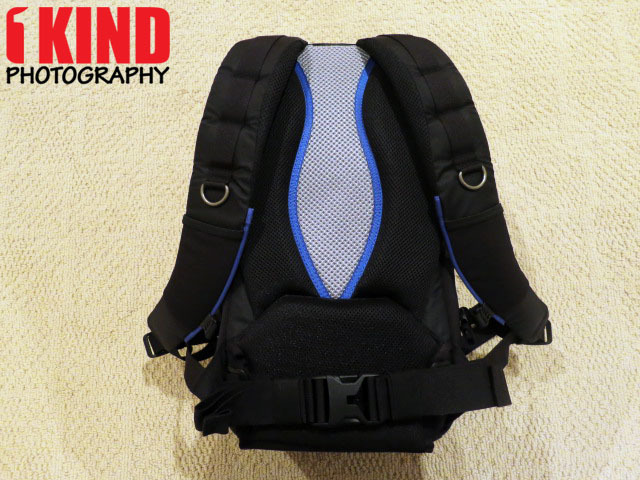 Although it's a backpack, it's stiffer and you'll feel it when you're wearing it. Just remember that it's also bigger so if you're going to be sitting on a chair, your backpack will be taking the seat and not you. I've been a big fan of ThinkTank products as the products are great quality and their customer service is top-notch. *Purchase through our link below or enter our special code 140141.2f0f20 and receive a FREE gift with your order of $50 or more!